Cycles is a ray tracing renderer focused on interactivity and ease of use, while still supporting many production features. Cycles mailing list, and also the Blender Developers list. Manuals for both Artists and Developers are available. Cycles is officially under the Blender Foundation umbrella, and so is developed on developer.blender.org. Source code is available either as standalone repository or as bundled into Blender sources. To clone Cycles together with blender please consult BF Blender project. 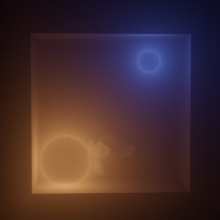 Sebastian Parborg (zeddb) added a comment to T60462: Blender 2.8 (various versions) crashes in GPU animation rendering (many card types), both eevee and cycles. I can't reproduce this on my end with (Linux, AMD). Philipp Oeser (lichtwerk) updated subscribers of T62415: inconsistency in shader nodes when opening .blend vs. append in 2.8. Node conversion skipped when object is appended..
@Brecht Van Lommel (brecht): thank you! Brecht Van Lommel (brecht) closed T62415: inconsistency in shader nodes when opening .blend vs. append in 2.8. Node conversion skipped when object is appended. as Resolved by committing rBcc5a75d5727a: Cycles: move shader node versioning code to C.
Philipp Oeser (lichtwerk) closed T63313: Access violation - CUDA crashes Blender as Resolved. Acrivec Cevirca (Acrivec) updated subscribers of T63313: Access violation - CUDA crashes Blender. @Philipp Oeser (lichtwerk) as far as I can see there were some commits regarding this issue and it stopped crashing after that. Can't see them though, because of builbot last changes limit, so I think it's resolved. Philipp Oeser (lichtwerk) raised the priority of T60462: Blender 2.8 (various versions) crashes in GPU animation rendering (many card types), both eevee and cycles from Needs Information from User to Needs Triage by Developer. Philipp Oeser (lichtwerk) raised the priority of T63313: Access violation - CUDA crashes Blender from Needs Information from User to Needs Triage by Developer. Brecht Van Lommel (brecht) added a comment to T54504: Cycles Displacement node not automatically inserted in older files when linking. No, T62415 is already open to handle that same case. Vilem Duha (pildanovak) added a comment to T54504: Cycles Displacement node not automatically inserted in older files when linking. This bug T59766 was closed as duplicate of this one, however was certainly not resolved by this. Should I reopen T59766? Brecht Van Lommel (brecht) added a comment to T63608: Denoiser 'noisy image' does not contain all not-denoised data. Normally you would denoise all the components, together not a subset of them. So then this works fine. Acrivec Cevirca (Acrivec) added a comment to T63608: Denoiser 'noisy image' does not contain all not-denoised data. Brecht Van Lommel (brecht) closed T63608: Denoiser 'noisy image' does not contain all not-denoised data as Archived. While this may be a useful improvement, this is not considered a bug. The denoising passes only contain the selected components. Acrivec Cevirca (Acrivec) added projects to T63608: Denoiser 'noisy image' does not contain all not-denoised data: Cycles, BF Blender: 2.8. Robert Brian (robertbrian) updated the task description for T63588: Cycles does need recalculate MIP after modifying a material. Robert Brian (robertbrian) added a comment to T63588: Cycles does need recalculate MIP after modifying a material. Brecht Van Lommel (brecht) triaged T63564: Cycles GPU slow at skipping over unused code as Normal priority. Sebastian Parborg (zeddb) updated subscribers of T63564: Cycles GPU slow at skipping over unused code. @Brecht Van Lommel (brecht) bug or not? Brecht Van Lommel (brecht) triaged T63588: Cycles does need recalculate MIP after modifying a material as Needs Information from User priority. Please mention Blender version, attach a .blend and provide exact steps to redo. Robert Brian (robertbrian) added projects to T63588: Cycles does need recalculate MIP after modifying a material: Addons, Cycles. Robert Brian (robertbrian) added a project to T63564: Cycles GPU slow at skipping over unused code: Cycles. Marco Alamia (Macro) requested review of D3998: Cycle Bake - Average Normals for projection. Sergey Sharybin (sergey) added a comment to D4676: Cycles: Improved sampling for sphere lights..
Sebastian Parborg (zeddb) merged T63379: Incorrect curves transform on parented curve objects & instancing visibility problem into T61389: Curves + Array Modifier with Object Offset transform incorrect in Cycles when using Collections. Acrivec Cevirca (Acrivec) added a comment to T61389: Curves + Array Modifier with Object Offset transform incorrect in Cycles when using Collections. Mandeep (mandeep) added a watcher for Cycles: Mandeep (mandeep). Muhammad Radifar (radifar) added a comment to T60462: Blender 2.8 (various versions) crashes in GPU animation rendering (many card types), both eevee and cycles. After another testing with various settings I found another interesting thing. Somehow, when I set Render > Display Mode > Keep User Interface and using minimum layout (3D viewport, shader editor, and Outliner) EEVEE rendering perfectly fine (in ordinary setting it keeps crashing before 50 frames). I haven't tried this method with Cycles though. Brecht Van Lommel (brecht) triaged T63287: CUDA fails to reinitialize as Normal priority. Jan Vetulani (jasiuek) added a comment to D3998: Cycle Bake - Average Normals for projection. Would this fix this T59362? Yes, it gives you a tool to fix that. The way the original asset is setup will generate those results, that can't be fixed. If the geometrical normal is bent your TBN is bent and the colors are not flat. If you straighten the normals though you get flat colors, but in the current blender you also get an incorrect projection and bad seams in the normal map. With the average normal for projection you fix the projection. I have attached what I did to get the desired results. Lukas Stockner (lukasstockner97) updated the diff for D4644: fix denoiser negative index crash in CPU kernels. I'm just going ahead and updating this with my fix, the history should still be there so we could go back to your fix. haaput (haaput) added a comment to T41179: Cycles Voxel Data Node Mockup. Thanks @Caetano (Caetano). I managed to get it working using blender renderer. So now half of my project is rendered using blender renderer and other half using cycles! Its not ideal, but works for now. Brecht Van Lommel (brecht) added a comment to T41179: Cycles Voxel Data Node Mockup. As I explained earlier in this task, I don't think this is the right approach. It makes optimizations and some features difficult, volumes should be a type of object rather than a shader. I expect a native volume object type will be added in one of the releases after 2.80. Caetano (Caetano) added a comment to T41179: Cycles Voxel Data Node Mockup. @haaput (haaput) no further work that I've heard of, although if you have a particular use case you'd like to solve, I might be of help to find a workaround. Marin Myftiu (mm25) added a comment to T60462: Blender 2.8 (various versions) crashes in GPU animation rendering (many card types), both eevee and cycles. Same issue here. And what is interesting is, when I change the thread from 4 (max) to 3, it significantly increase the amount of frame rendered before it crashed (around 2-4 times the number of frame). Using both CPU + GPU for rendering. @Caetano (Caetano) is this still pending? Hey @Brecht Van Lommel (brecht) I see this is assigned to you. If you are busy I can try to give it a shot next month but I don't have any experience with blender code base so I'll need some help with this. Acrivec Cevirca (Acrivec) added a comment to T63313: Access violation - CUDA crashes Blender. Yes, it works with disabled experimenal features.